Americans spend more than 90% of their lives indoors according to the Environmental Protection Agency. Indoor air levels of many pollutants may be 2-5 times, and occasionally, more than 100 times higher than outdoor levels. That’s why Air Specialist offers a variety of indoor air solutions to help you breathe easier in your Texas home. Air Specialist has paved the way by reviewing and field-testing hundreds of indoor air quality products. We only recommend and install the best products in the industry and back them up with a 100% satisfaction guarantee. From air filtration to proper humidification levels, Air Specialist technicians have the answers that can provide you with a safer and more comfortable home. Air Specialist is pleased to provide you and your family a variety of solutions to improve the quality of your indoor air. Modern air purifiers can improve your health and comfort by keeping the air in your home cleaner. 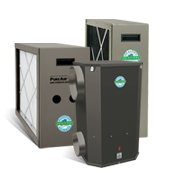 Save your family and home from the unhealthy and damaging effects of over-dry air or too moist indoor air. 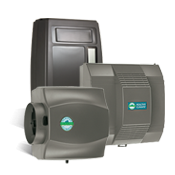 We’re proud to offer top name brand humidifiers and dehumidifiers to improve the indoor comfort of your home.